The father of a nine-year-old boy, who drove a Ferrari F 430 recently with his five-year-old brother along side, causing widesperad outrage, was arrested on Monday and released on bail. Police sources said Mohd Nisham was arrested by Peramangalam police here, which is investigating the case. He came with the vehicle and was arrested. Since it was a bailable offence, he was granted bail on furnishing two surities of Rs 5000 each, the officer investigating the case told. 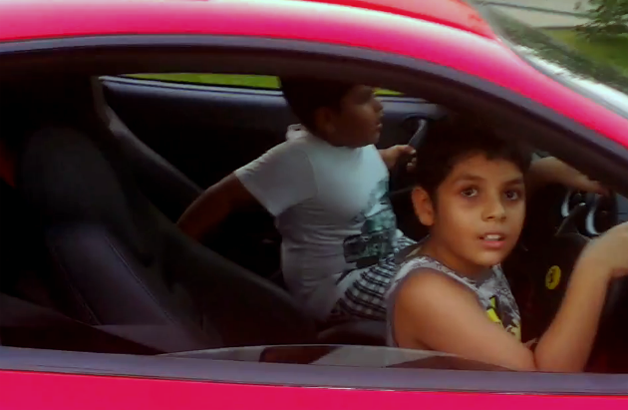 The Video of child driving a Ferrari could be viewed here whereas the same child driving a Range Rover is here.